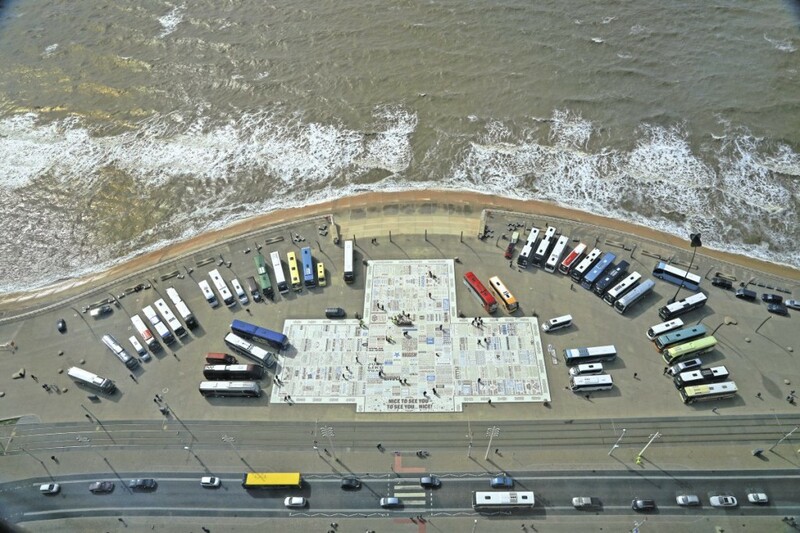 Aerial view of some of the entrants around the Comedy Carpet. An example of a Volvo B11R Jonckheere JHV2. MAN will debut the right hand drive version of the new Tourismo, pictured here to the European specification at its launch at the IAA show last September. 53 Coaches (the largest entry for a number of years) from 42 operators will feature in the driving skills challenge, culminating in the coach, midi and mini coach driver of the year awards, along with trophies awarded for the best vehicles. For the second year, the trophies will be presented by outgoing Senior Traffic Commissioner, Beverley Bell. The popular dinner-dance takes place again at the iconic Tower Ballroom on the Saturday evening and the Sea Life centre is the venue for Friday night’s fish ’n’ chip supper. 2016 saw the return of the Rally to Blackpool and following feedback from both exhibitors and competitors, the judging will be more streamlined this year, with more coaches being judged together and more accurate judging times. Look out for the Bus and Coach Buyer team who will be out and about in Blackpool on both days. Arriva Bus and Coach Sales are taking a 12.2m Temsa Safari HD 53 seat integral coach with DAF Euro6 engine and ZF EcoLife transmission. Their second vehicle, making its right hand drive debut, is the Van Hool EX 15H, 12.5m 55 seat coach, with Paccar-DAF MX 11 Euro6 engine, with Voith gearbox. Representing the company will be: Head of Sales, Dave Gregory; Head of Products, Steve Fletcher; Area Sales Manager for the South West, Graham Messenger and Midlands Area Sales Manager, Robert Birch. The first is one of London based Anderson Travel’s two recently ordered Barbi Galileo HDL 12.4m 53 seat executive coaches (one MAN RR2 360BHP for the Andersons Travel fleet and one MAN RR2 420BHP for their sister company, Windsorian Coaches), adding to their recent fleet investment to reach Euro6 standards. Having expressed to being impressed with the Barbi’s passenger comfort and expansive 13m3 luggage capacity, they plan to use them on their own expanding tour program, plus corporate and private hire. The second display vehicle is an MAN RR8 MOBIpeople Explorer 12.5m with 74 passenger seats plus courier, with 8m3 of luggage space. The Explorer was a recent delivery to Fusco Coaches of Southport who had been looking for a suitable high capacity coach to work on extensive private hire and school contracts. They have specified Hanover Destination equipment; Centrad CCTV, dual TV monitors and a DVD system for both passenger entertainment and safety, plus a vacuum cleaning system to ease staff cleaning duties. EvoBus (UK) Ltd will have their Area Sales Managers available throughout the weekend to deal with your enquiries. On Saturday, Lee Hake, ASM London and South East and Phill Cowdery, who manages the North West and North Wales will be on hand. 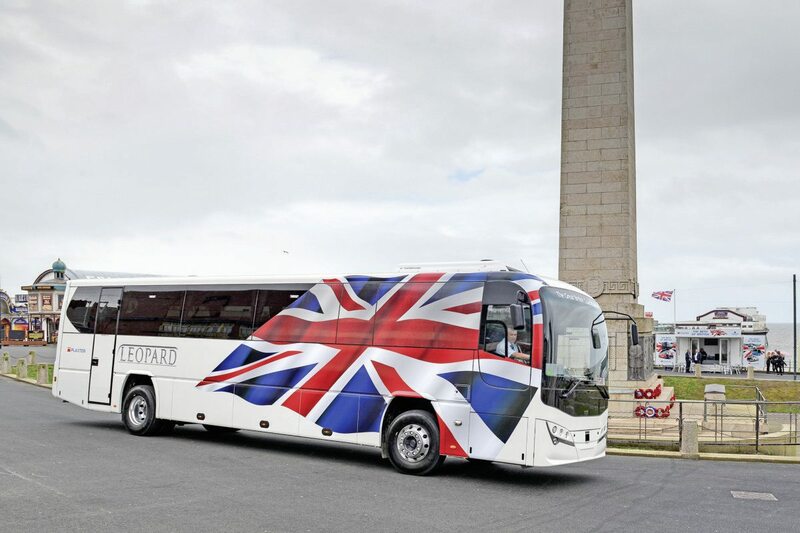 Sunday will feature ASMs Gary Owen, South West, Wales and West Midlands and Neil Gladstone, RoI and Northern Ireland, who will be available to discuss the ‘chassis 817’ Tourismo M Touring Plus vehicle on display. This high specification 13m coach has 53 Luxline leather-fabric upholstered seats, pre-installed Wi-Fi, dual electric folding LCD displays and LDWS. Irizar UK is looking forward to welcoming visitors to its hospitality unit, where the i6 12.2m, 49 seat demonstrator will be available for viewing. The saloon includes; i6 seats with iLeather piping and headrest with seat back tables, aircraft locker in the middle entrance, centre sunken toilet with electric hand dryer, an Actia video system, DVD with USB input and two monitors and a Bosch entertainment system. Cab features include reversing alarm and camera, reading light for driver and guide, heated driver’s seat with armrest, LDWS and AEBS. Steve and Julie will be joined at the Rally by New Vehicle Sales Account Manager in the North, Stuart Smithson; Director Ian Hall and UK Aftercare Manager, Andy Mageer. 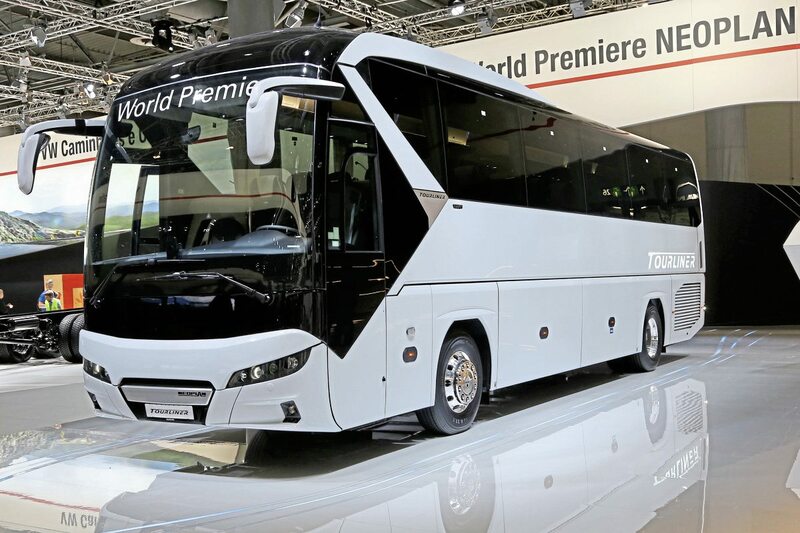 The Rally will feature the world premiere of the new Neoplan Tourliner in right hand drive form by MAN Truck and Bus. The 13.9m Neoplan Tourliner HD16 P22 has a MAN Euro6c 460bhp engine with MAN Tipmatic ZF AST gearbox. Its 59 luxury Kiel 1020 half leather seats all have USB points. Additional features include, front and reversing cameras, sat nav, toilet and a wheelchair lift which is a UK first for the Tourliner. The new MAN TGE pre-production demonstrator 2litre Euro6 diesel panel van, which the company is exploring for its suitability for minibus conversion, will also be on display. Coach Sales Executives Jeff Edwards and Steven Duffy, along with Senior Sales Executive, Matt Jacob; Chassis Sales and Support Engineer, Graham Wilkinson and GM Bus and Coach, Wayne Ulph will be attending the event. In addition to customers’ Yutong TC9 and TC12 on display, Pelican Bus and Coach will be exhibiting a Yutong TC9 coach in CPT livery and their own 35 seat coach with red half leather seats. Sales Manager, Bob Elliott, will be in attendance for both Saturday and Sunday, accompanied by Salesmen John McEwan on Saturday and Simon Thompson on Sunday. 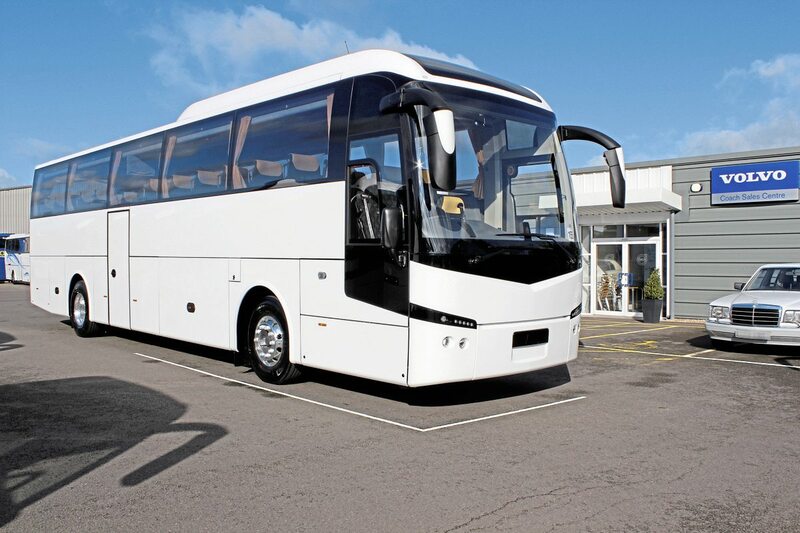 Plaxton Coach Sales will be exhibiting three vehicles; a 57 seat Panther on a Volvo B8R chassis with a centre demountable toilet, a 59 seat customer liveried Leopard on a B8R chassis and a Cheetah XL. Scania GB Ltd will be showcasing a 14.1m, tri-axle 63 seat, Interlink HD Finesse on the K 410 EB 6×2 Euro6 chassis. Associated Moseley Companies have three vehicles on display: a 13.2m Van Hool TX16 Acron tri-axle with Paccar-DAF MX13 Euro6 462bhp engine and ZF AS-Tronic 12AS 2301 Transmission. Its 57 Kiel seats have magazine nets and folding tables. The coach has 9.9m3 of luggage space, centre sunken toilet, fridge, water boiler, Bosch multimedia system with three monitors, sat nav, LDWS, AEBS, reversing camera and a surveillance camera over the exit stairwell. Vehicle two is the 10.8m Beulas Cygnus on the MAN RR2 chassis, powered by an MAN Euro6 360bhp engine with ZF 6 AP2000 EcoLife Transmission. The 43 seats have contrasting leather headrests with piping and seat back folding tables. It comes with rear floor mounted toilet, fridge, water boiler and Bosch audio equipment. Reversing camera, LDWS and AEBS systems are also fitted. The third exhibit is the VDL Futura FHD2 Integral 12.9m demonstrator, with Paccar-DAF MX11 370bhp Euro6c engine and ZF 6AP 1700B EcoLife Automatic transmission. The 57 Vogel LS30 reclining seats have leather trim, adjustable foot rests, folding tables and magazine nets. Additional features include centre sunken toilet, cool box, water boiler and Bosch entertainment system including DVD player with two 19” monitors. It also features a reversing camera, LDWS and AEBS Systems. Interested parties can arrange a demonstration during the duration of the Rally by a member of the Moseley Sales Team. Volvo Bus hope to be displaying a Volvo B11R Jonckheere JHV2. Present at the event will be Retail Bus and Coach Sales Managers Bob McGarry and Phil Hudson and Area Service Manager for Thomas Hardie Commercials, their North West technical support partner, Karl Hutchinson.